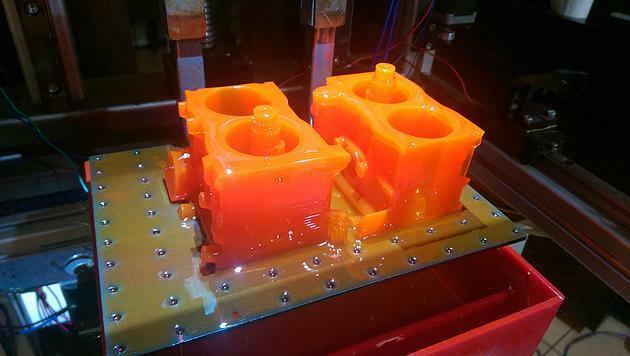 It was just last week that we reported on a company called Carbon3D, who had just unveiled a “breakthrough” 3D printing process referred to as Continuous Liquid Interface Production technology (CLIP). Quickly news of this new 3D printing process, which claims to be able to print objects 25-100 times faster than traditional 3D printers, hit the mainstream media. The technology proves that perhaps widespread use of 3D printing could be a lot closer than we think. If objects can be printed in minutes rather than in hours, doesn’t the technology become a lot more attractive for just about everyone? It will really depend on the price of the printers, which the company has not given any clues to as of yet. Now, less than a week later, 3DPrint.com has been informed by a company called Gizmo 3D, that they too are working on a super fast SLA style 3D printer, which may actually one-up the Carbon3D system, as far as speed and print quality go. While the Gizmo 3D printer uses Direct Light Processing (DLP) technology in order to create solid objects out of liquid resin, their method is not the same as that used in other DLP 3D printers on the market today, nor is it the same as the method that Carbon3D has unveiled, although similar. What makes du Toit’s methodology so incredible and so fast, is that instead of printing in broken layers, with quick flashes of a projected image from the DLP projector, his layers are printed like an animation, without any breaks between frames. The build plate, full of resin, continuously moves downward while this animation plays. Currently he calls this method of printing “continuous printing” but says that “animated printing” might even be a better term. This continuous printing method is similar to what Carbon3D does with their printers, but instead of using a bottom up methodology, du Toit uses a top down system, where objects are printed within a vat of liquid, and remain there for the duration of the print. As seen in the amazing video at the top of this page, du Toit’s 3D printer is capable of printing extraordinarily fast. In fact he says that it is capable of printing an object 150mm x 80mm x 26mm in size, at a 50 micron z-axis resolution, in just 6 minutes. According to du Toit, there is another benefit to his 3D printer which is not known to exist with Carbon3D’s machine. So what is the method to du Toit’s madness, and what is it that allows him to print objects so ridiculously fast? Well, currently he is working on lauching a Kickstarter campaign for this technology, while he also needs to work on patenting his innovations, so much of it still remains a secret. He did, however, reveal some details to us. That secret, which du Toit says he is dying to tell us about, makes his printing process twice as fast as the process would be without it. He plans to launch several 3D printers via his Kickstarter campaign, both including the “secret” technology and excluding it. The most basic Gizmo 3D printer will be the GiziMate and it will be priced at $2,500. The biggest printer will be the GiziMax which will measure an astounding 2m tall and be priced in or around the $6,000 range. In addition, to add on the “secret”, which allows for twice the printing speeds, it will cost about $2,500. In all, there will be 3 different models of printers offered via the Kickstarter campaign, which is scheduled to launch sometime this coming September, if all goes as planned. Those models can be seen below along with their maximum print sizes. 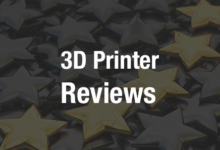 One of the great benefits of these machines, just like that of other DLP based 3D printers, is the fact that the printing process doesn’t slow down when new objects are added to the build plate. This is because the projector has the ability to display multiple animations at once. Another benefit of the Gizmo 3D printers is that they have the ability to print multiple objects all in different colors by using a ‘multi color vat’. Because of the top down method of printing, this can easily be added on. Precision linear slider rails – This allows for precision movement and low friction. Heated vat – The resin is heated to 22 degrees C to make it flow better and provide for a higher resolution. Leveling – The feet on the printers are adjustable allowing the user to level the machine so that it can print on any surface. Aluminum frame – Made using 40mm x 40mm aluminum. Also includes laser cut parts made from 2mm to 3mm steel. Most parts are then powder coated. Gizmetor – This is the software used on the Gizmo 3D printers. It will be feature rich, and include a hotspot manager that prevents prints from getting damaged by high energy hotspots. du Toit plans to have 4 beta units of his machines made by next week. It will then take him a month to get all the parts together from suppliers. He will then begin assembling and testing the machines before moving on with production. If all goes as planned, like mentioned above, you should be able to pre-order your very own Gizmo 3D printer starting at just $2,500 this coming September. We are told that in the worst case scenario, the Kickstarter launch could be pushed out until November, depending on how beta testing goes and the speed in which du Toit is able to get his imported parts. What do you think about this incredible new 3D printer which perhaps could revolutionize the 3D printing space? 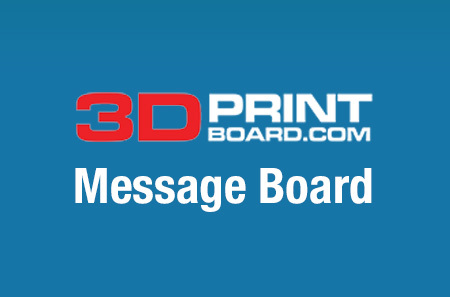 Discuss in the Gizmo 3D Printers forum thread on 3DPB.com.